GC-11 : Water resistant tracking unit. The GC-11 is an economical and reliable solution and easily installed. Its water resistant characteristic makes it ideal for outdoor recreational vehicles such as motorbikes or snowmobiles. Superior quality, high sensivity GPS. 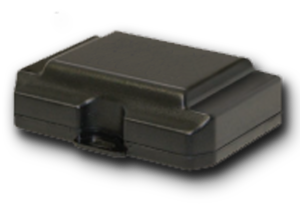 Integrated GPS and GPRS antennas for ease of installation.